In an Olympic first, skaters who used to perform to beautiful pieces of classical music are now allowed to skate to music with lyrics. Now instead of skating to instrumental versions of their performance songs, skaters can perform to the original versions. 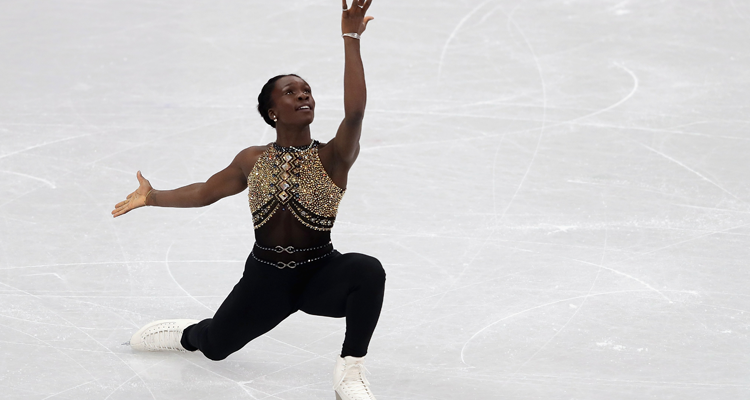 On Saturday, French figure skater Mae-Berenice Meite stole the show with a program set to a medley of Beyoncé hits. Although the crowd at the Gangneung Ice Arena loved the music, she fell and finished in ninth place in the women’s short program. Other rock star musical medleys took place which included artists like Elvis Presley and The Beatles. No doubt, “Despacito,” the Latin pop tune by Luis Fonsi and Daddy Yankee, was used not once but twice, by the South Korean and Chinese teams. Watch the skating routines to “Despacito” and Beyonce below.